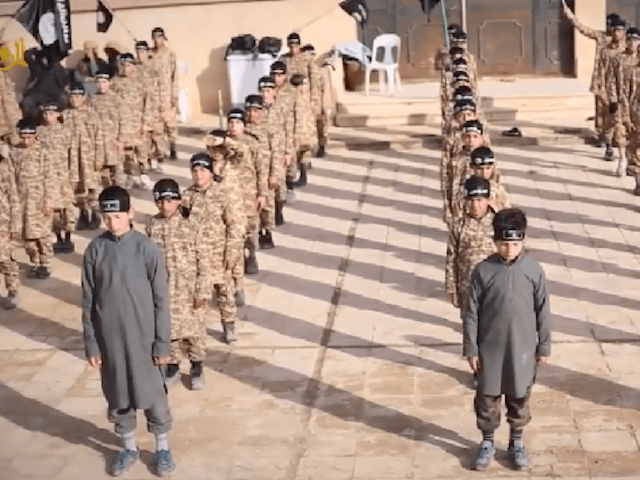 Center for Security Policy President Frank Gaffney joined SiriusXM host Raheem Kassam on Wednesday’s Breitbart News Daily to talk about the use of child soldiers by Islamist groups, notably including – but not limited to – the Islamic State. “This is a horrible practice. It obviously mutates beyond recognition these children, and it turns them into killers. It’s reprehensible in the extreme, but unfortunately it’s not just started with these characters; it’s being practiced particularly relentlessly by them,” he said. Kassam noted Palestinian terror gangs like Hamas are also notorious for the indoctrination of children as terrorists and using schools to store weapons. “What does it say about these people, that they’re willing to send children to their deaths?” he asked. “In kindergarten, for crying out loud, in the Palestinian communities – I think this is a particularly extreme example of it, but it really speaks to this point, that we both are making. This isn’t just a one-off, or some particularly unsavory group that’s doing it. This is part of a culture that certainly not all Muslims subscribe to, but unfortunately, in quite a number of places, it is very much the norm, and I think a particularly serious indictment of the people we’re up against,” Gaffney argued.